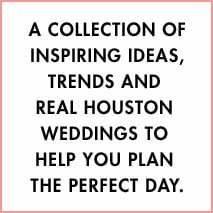 It’s no surprise that elegant barn weddings are in high demand among our Weddings in Houston readers and followers. 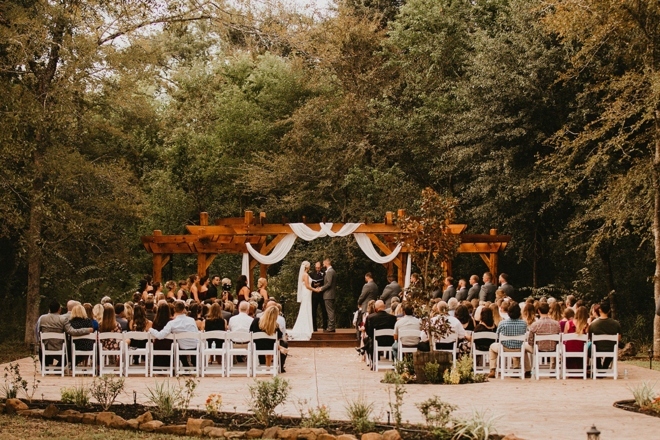 And we’re happy to report, we’ve got an awesome venue option to recommend: Magnolia Meadows. 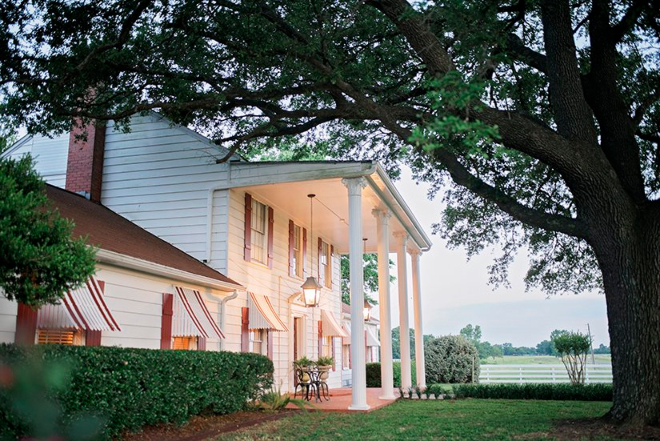 Elegant barn weddings await Houston brides and grooms at The Carriage House, located a short drive from Houston and just minutes from The Woodlands. 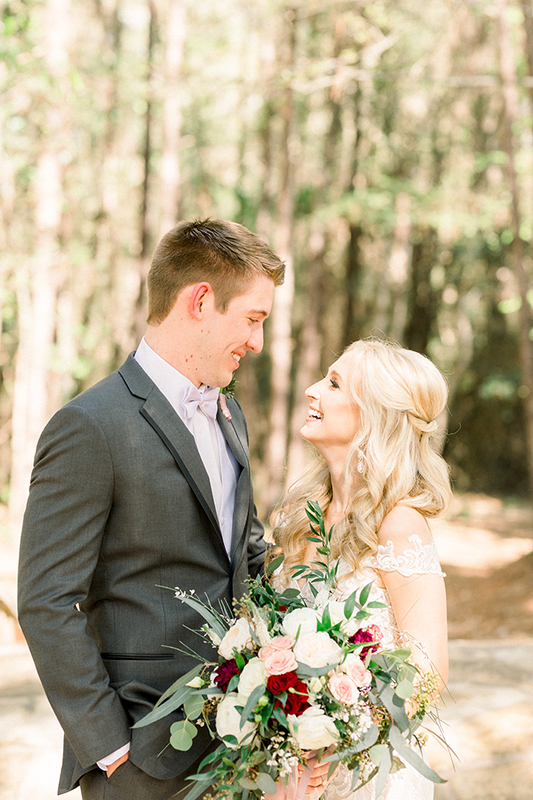 At this charming rustic-elegant Conroe venue, you’ll find a romantic country-chapel ceremony space, lined with windows to let in the abundant natural light, and accented with glittering crystal chandeliers. 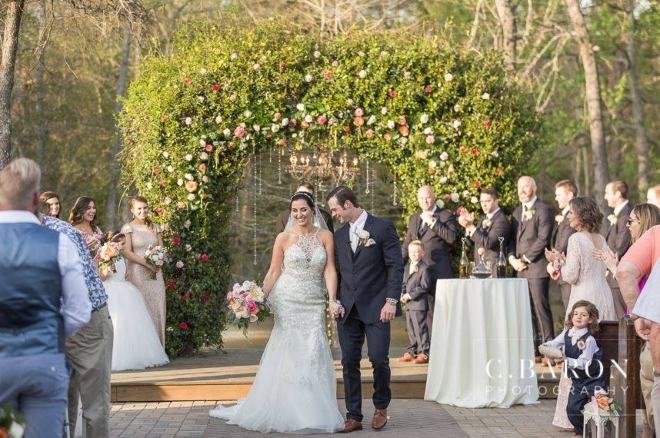 Prefer the idea of outdoor “I do’s?” The Carriage House has got you covered, with a vine-entwined arbor for you two, and antique pews for your guests, all set upon a wooded backdrop that includes a pond and burbling fountain. The main event space, featuring 35-foot-high timber beam ceilings and brilliant crystal chandeliers, can accommodate up to 300 guests, for a celebration filled with relaxed elegance and true Texas hospitality. Among our favorite features at The Carriage House: a vintage-inspired bridal suite, featuring antique vanities and classic white-leather styling chairs (there’s an equally well-outfitted groom’s suite for the groom and his guys). 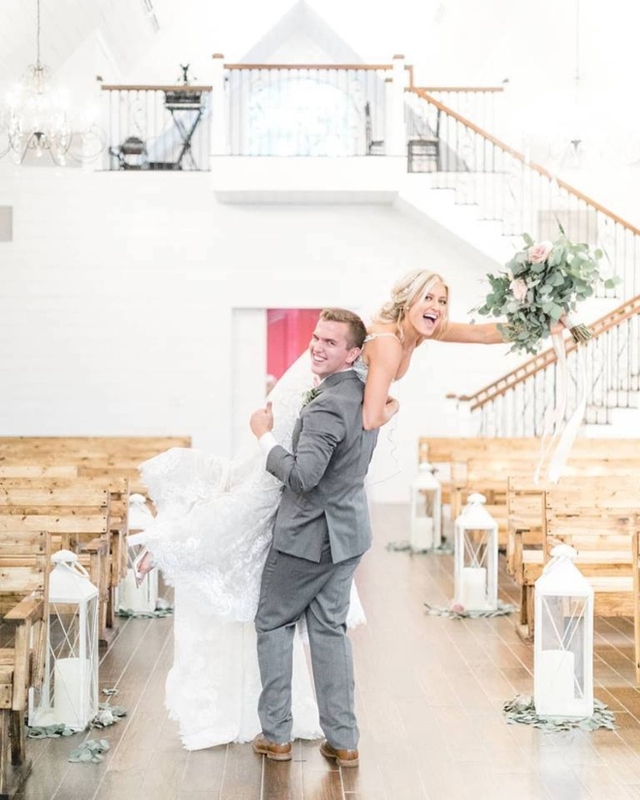 The Carriage House also offers a super-flexible vendor policy, so you can choose vendors that fit with your wedding day vision or opt for an all-inclusive package that can include catering, linens and everything in between. 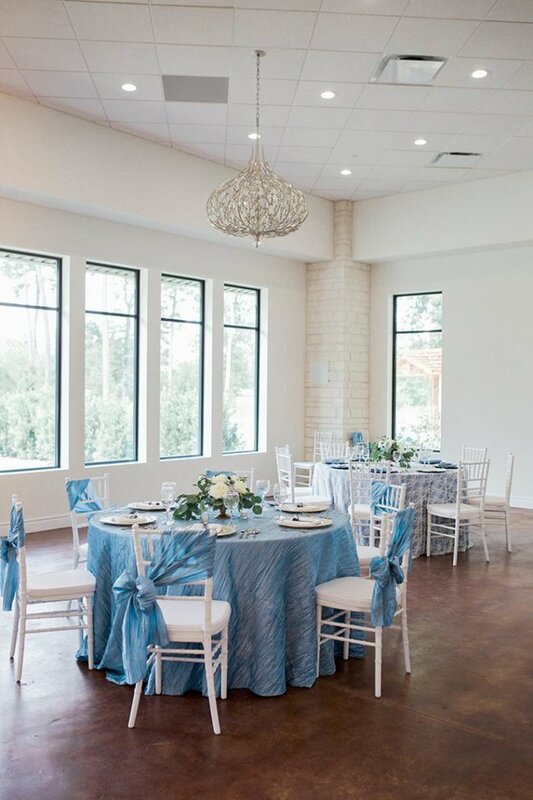 Schedule your appointment now to tour The Carriage House, one of our favorite spots for elegant barn weddings near Houston, and make sure to let them know you found them at Weddings in Houston, for that little extra bit of VIP treatment you deserve! 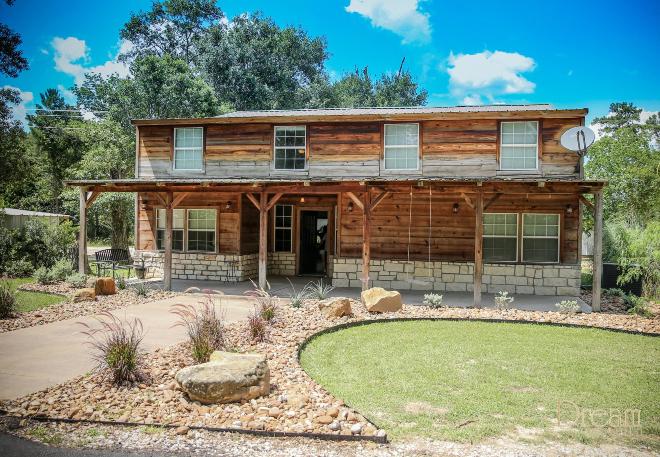 Ahhh, you guys, there’s just so much to love at Texas destination wedding venue 15 Acres, where you can create everything from Texas barn wedding fun to contemporary ballroom elegance. For starters, there’s the venue’s rustic-elegant ambiance, which blends rough-hewn wood surfaces with tons of wedding sparkle. Then there’s the 15 Acres’ spacious covered patio, which can be cooled or heated for maximum comfort in any season. 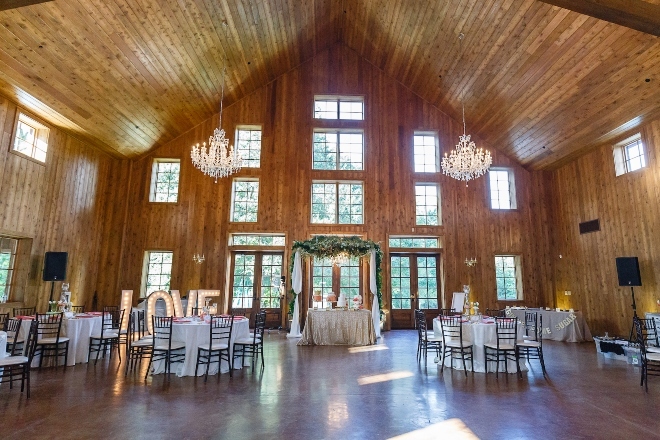 And the lovely 15 Acres ballroom, which takes full advantage of the venue’s picturesque Hockley, Texas, setting with tons of oversized windows and tall French doors. 15 Acres also believes that your wedding prep space should be as comfortable and beautiful as your wedding party space. That’s why they custom designed a lavish bridal suite and awesome groom’s cabin (with–bonus!–a stocked fishing pond!) just for their wedding couples. 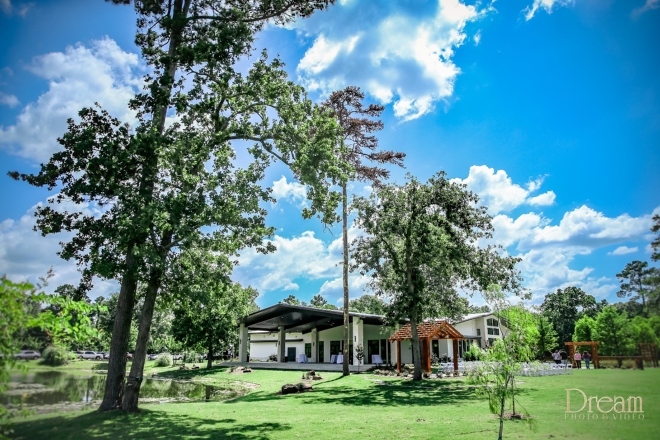 Schedule your appointment to visit this unique Houston area destination wedding venue, and experience in person all that 15 Acres has to offer. 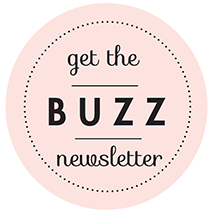 Are you or your spouse-to-be an active military member or first responder? Make sure to ask the 15 Acres event staff about special discounts, available just for you. Happy Texas destination wedding planning, y’all!